You are here: Home › History & More › Do Taekwon-Do Patterns Have Any Practical Value? What good are patterns? That’s a question that an awful lot of Taekwon-Do students ask themselves at some point. We spend all this time learning patterns, but it’s hard to apply the techniques in sparring. Patterns and sparring are too different from one another. It just doesn’t work. So if patterns and sparring are so different, are patterns techniques even effective? Can we make them effective? To understand the differences between patterns and sparring, you have to understand where Taekwon-Do came from. In a weird way, it kind of makes sense that the two things look nothing alike. Taekwon-Do was primarily based on Shotokan Karate, and Shotokan’s kata (patterns) and sparring look nothing alike, either. If Taekwon-Do was modified from Shotokan, then it seems natural that our patterns and sparring would look even more different from one another than theirs do. Even though a lot of the the techniques don’t work in sparring, I don’t want to say that patterns techniques can’t be effective. Many of the strikes can be performed in a dynamic way, and they can work well. It’s the blocks and some of the other techniques that become a problem. But I know someone who, as a yellow belt, used the inner forearm block and punch from Chon-Ji to stop someone from attacking him. So it is possible to use one of those blocks. But it’s hard to pull them off. But maybe there’s something that we’re missing. Maybe to make the techniques effective, we have to think about things in a different way. Maybe sometimes a block isn’t a block at all. Think about this: most Taekwon-Do blocks are designed to be powerful, with the arm finishing away from the body. But when you watch good fighters, whether they do TKD, boxing, MMA or whatever, how often do you see them use a powerful block against an attack? Probably never. Instead, they dodge, slip, parry and just plain cover up. Why? Because it’s quicker, requires much less physical effort and has a lower chance of failure. To block and dodge, you need excellent timing and lots of practice. Meeting force with force requires even better timing and precision, and it’s easy to get it wrong. Not to mention the fact that it can leave you open. When people are new to sparring, they often try to swing their arms out wide to block kicks. But instructors quickly train them out of the habit. If forceful blocking was effective, wouldn’t we encourage that practice? An instructor once told me that the techniques in the patterns are exaggerated. If you even need to use the move in real life, it should be much more dynamic. He said that we learn the exaggerated versions so they become ingrained and we can do them properly when they’re needed. I don’t buy this. Except perhaps at the beginner level, other sports don’t teach exaggerated versions of techniques. They may slow them down to teach proper form, but that’s about it. Baseball pitchers aren’t taught one throw for practice and another for the game. Boxers don’t learn one exaggerated block for outside the ring and another for inside. 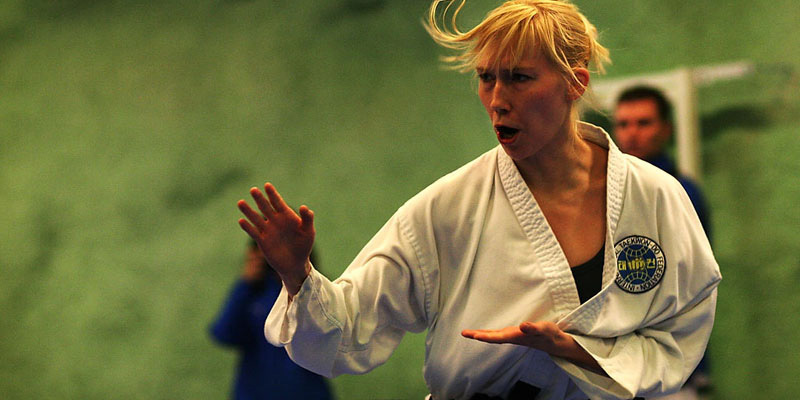 What makes Taekwon-Do and Karate so different from other sports? There’s a relatively small group out there, including Karate experts Iain Abernethy and Elmar Schmeisser, who believe that the proper use and meaning of many Karate techniques has been lost somewhere along the way. 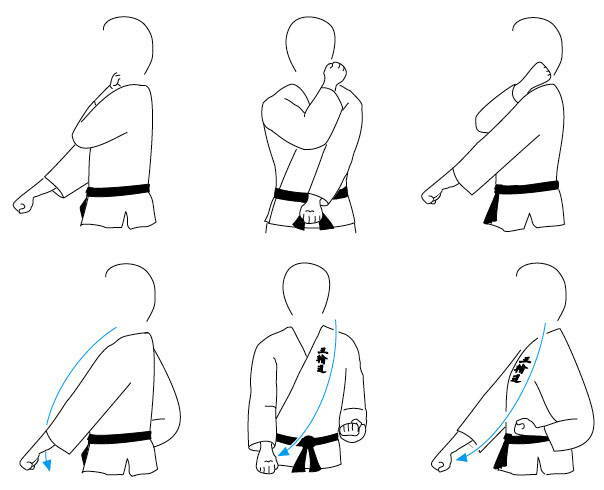 While the Karate techniques that make up the kata have been passed along and written down, the applications of those techniques haven’t been well recorded. Many students were likely shown the techniques without being shown exactly how to use them. The end result is that no one can be completely sure about things like the purpose of certain techniques and why the movements are performed in the order they are. 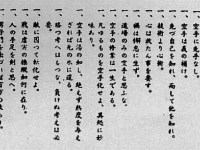 The popular theories that developed about the applications of techniques are similar to the applications that General Choi illustrated in the Encyclopedia of Taekwon-Do. It looks like he, and the other TKD pioneers, learned the popular applications from their Karate instructors and passed them on. They developed their Taekwon-Do techniques based on these impractical applications that they believed were correct. These are the same impractical applications that we know and love today. 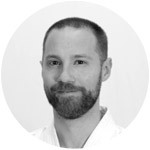 According to Abernethy, Schmeisser and others, if you have a good martial arts education and think creatively, you can find some practical applications in the kata. These people don’t always agree on what those applications are, but they also don’t claim to have all the answers. They don’t claim to know what the original kata creators were thinking. They’re just making educated guesses and trying to find things that work. “Things that work” means that many of the techniques might not be what we think they are. If the low block is meant to be a forceful block, then how we prepare makes little practical difference. You could make arguments why each one is better than the other, but the differences are minor. The block gets to the same place in the end. But what if the Shotokan-style preparation was actually the block? Take a good look at the photos on the linked page. Doesn’t it kind of look like the guy is covering up? Imagine his top hand sitting a little higher, by his face. Suddenly, that whole side of his body is protected. The next part (what we refer to as the block) could be a strike, most likely to the groin. During the preparation, the lower hand is extended, and could even be used to grab the opponent and pull him closer. If a “low block” is meant to be a block and counterstrike, then as TKD practitioners we’re doing it all wrong. We’re missing the blocking half of the equation. 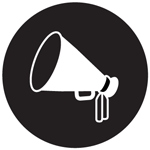 I know I’ve only given you a taste of this alternate view of kata/patterns application. At this point, I don’t even know a lot about it myself. I still haven’t read enough and I just don’t have the education in other martial arts like Judo that I would need to begin looking at the Taekwon-Do patterns in a completely different way. But I’m interested and I want to learn more. 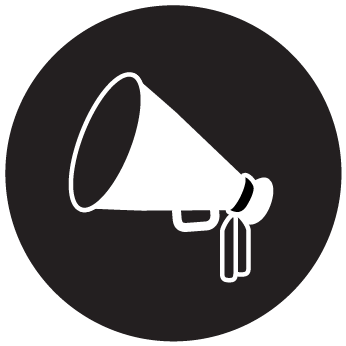 To find out more for yourself, check out Iain Abernethy’s blog and videos. 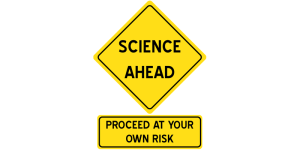 Or try to track down a copy of one of Dr. Elmar Schmeisser’s books. (Warning: his books are specifically aimed at Karate students and get extremely technical.) 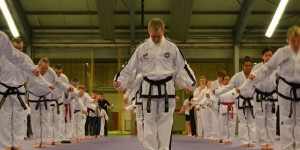 Stuart Anslow has written a couple of books about practical application of Taekwon-Do patterns called Ch’ang Hon Taekwon-Do Hae Sul – Real Applications to the ITF Patterns. But I haven’t read those yet, so I can’t comment on them. Of course, no one can be 100 percent sure of the intended applications of Karate and Taekwon-Do techniques, They can only make educated guesses. But what they say seems to make sense. And if they’re right, this could be the missing link we’ve been looking for. The Origin of Taekwon-Do’s Student Oath? 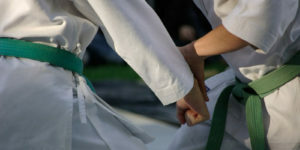 Although based on combat moves,Taekwondo poomsae are not “fighting”, but forms with great historical and philosophical meaning with each move representing a method of combat technique. A practice of forms does is not to say it is how one would react in a real-life combat situation. 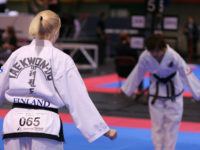 Taekwondo poomsae are an important part in training. Not only do they provide “practice” for the individual techniques, they build a stronger, well-rounded martial artist by developing power, balance, coordination, stamina, breathing control, concentration, flexibility, timing, positioning and achieving perfection in skill technique as it relates to the Traditional martial art. To perform the Taekwondo forms simply for the sake of performing poomse should never be the complete goal. They should be seen as their importance as intertwined together within an art of self-defense that roots date back for thousands of years. The forms within Taekwondo are just one aspect of the five major components which we must strive to learn as a whole and not just in parts . . . in my humble opinion. Thanks for putting the first comment on the site. You’re absolutely right that patterns/forms are not a method of fighting in and of themselves. But if we look back at the history, forms were used as condensed fighting systems. TKD largely came from Karate, which largely came from Kung Fu. In Kung Fu, each form is a complete fighting system. It isn’t a method of fighting per se, but it’s a way to codify all the moves of the system in a way that can be remembered and passed down, so students can use the moves to learn how to fight. Perhaps forms are simply a way to practice techniques as well as develop balance, power, stamina, etc. But, to me, it makes even more sense that the techniques in the patterns are meant to be actual, practical fighting techniques. And if they’re meant to be practical, then we’re quite possibly using them wrong. Great point that patterns are meant to be just one of the five intertwined components of Taekwon-Do. I’m not sure if you follow the teachings of General Choi in your style of TKD or not, but he taught the same thing. But consider that if the pattern techniques were meant to be practical, wouldn’t it be even easier to intertwine them with the other four components? I hope you keep reading. There will be lots more to come and I look forward to more great comments. I completely agree with your statement, of which you explained what I was trying to convey much better! Within the forms of Taekwondo, the practicality exists from the historical values of the fighting system as you so clearly pointed out. My point is that an outsider cannot judge the fighting art of TKD by “thinking” that the “forms” ARE the fighting style. I was not saying the forms were solely for developing power, stamina, etc., but instead, all the components practiced via forms assist the student in developing the practical applications to be applied in real-life self defense. Thanks for the reply and yes, I’ll be looking forward to your posts. Glad we’re in agreement. Cheers! I’d suggest that there are two different teaching traditions. One: Teach techniques first, then teach a form to represent and record what you learned. Two: Teach movements first, then decode them to reveal techniques. In my opinion, tradition 1 has very few flaws. But Tradition 2 has MANY! That’s a great point. One of the few ways I can see flaws creeping into tradition 1 is if instructors switched from 1 to 2, and then down the line people tried to switch back to 1. Even if those newer instructors are trying to teach technique first, the proper technique is now gone. Unfortunately, in martial arts like TKD and Karate, it seems that tradition 1 has largely been lost, so the best we can do now is to attempt to decode the shells of some of the techniques we have. Thank you for the post. The concern over function in Taekwondo patterns is much merited. In my research in Japanese and Okinawan karate cultural history and conventions, certain movements or nuances of given techniques have a strong track record of being altered or left out altogether. The history is quite interesting, in my opinion, and has influenced greatly the manner in which I have come to view a pattern as both a conceptual and practically applicable exercise. Because it (karate –> Taekwondo connection) has certainly been developed since the 19th century (changed, though not necessarily in a positive or a negative way) I am not entirely convinced that it would be wise to “quote” a pattern “verbatim” in any sort of fighting scenario to the point which all minute positioning details absolutely must be in place, irregardless of the opponent’s reactions or the needs of the situation based on context. However, I do understand there is great merit to be aware of, and be able to practically employ, the variations presented by the forerunner styles in an efficient and non-wasteful manner. 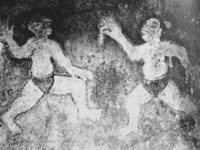 From experience and humble opinion, in terms of both an understanding by”mind” and “body,” it is invaluable to be able to draw these historic/stylistic connections and the implications of even a slight alteration of a technique. Equally so, I think it becomes even more interesting to grapple with the fact that in some way, shape, or form, every technique in the Taekwondo syllabus (at least, my parent lineage’s syllabus), is only a superficial variation of the others. “Too long; didn’t read” version, I suppose, is: It is all there if we know how to look. 🙂 Especially as Taekwondo folk, given the stereotype is that we are all sport-oriented and have little practical ability (which includes the practice of patterns as a bit more ceremonial than serious), I find it presents a wonderful opportunity as “benchmarks” for our understanding as it grows and develops over the years. All great points. TKD techniques have changed quite a bit from the Shotokan techniques that came before them, and the Okinawan Karate techniques that came before that. Of course, this doesn’t mean there can be no practical value left in the patterns (and it sounds like you agree with me on that), but yes, we absolutely have to be aware of the fact that any practical applications likely won’t be quite the same as in the arts that came before. Thanks for the input, Tom! Excellent article. I ran into this site by accident, I really enjoy this site. I’ve been studying applications for the ITF patterns and am confused by your statement that we’ve been doing the chambers wrong. The low block chamber in TKD IS a block: it defends against a roundhouse punch or a straight punch from an angle. The high block was changed to be angular because the South Korean military used high blocks to defend against downward weapon strikes, which are typically swung at an angle rather than straight down. The inner forearm block chamber (which is downward) in Chon-Ji is used to strike the elbow socket of an opponent grabbing you, so that their head is pulled forward and you can strike them on the neck with inner forearm block. The notion that they developers of the forms didn’t know any applications and were just copying karate movements isn’t true. A more likely scenario is that they didn’t know the Karate applications, so they came up with some of their own, then changed the movements to better fit the applications they came up with. This is why you have sets like Hwa-Rang combination (square block, back hand upset punch, followed by sliding front punch) that look similar to Karate sets but are different. The applications shown in the Encyclopedia aren’t the practical applications, they are meant to demonstrate the direction and force with which the moves are meant to be used. Thanks for the comment. Ørjan Nilsen turned me onto the idea that our chambers could possibly work as functional blocks over in the comments section of this post: http://www.doboksquawk.com/taekwon-do-and-patching-making-techniques-better. It’s an intriguing idea. I’m excited to explore it a little more, especially since it turns out that other types of karate perform similar chambers to Ch’ang Hon TKD. However, I don’t think General Choi and the other taekwon-do pioneers had these sorts of applications in mind. Assuming these chambers can work as functional blocks (which they probably can), I think it’s more of a happy accident than anything. “The purpose of this technique is to intercept an opponent’s attacking foot or hand directed against the low abdomen or points below. It doesn’t talk about blocking up high and countering low. There’s no mention of the chamber. And I’m not sure if there’s even a photo of it. I could go on with other examples. If you can find a copy of Gen. Choi’s 1965 book, his explanations there are similar as well. So this tells me that General Choi sincerely believed that the examples he showed in the Encyclopedia were practical applications. When people look for practical karate applications, they have the challenge (or benefit, depending on how you look at it) of having to admit that we don’t know what the karate pioneers had in mind when they developed the kata. But for taekwon-do we do know what the pioneers had in mind, because they wrote it down. Unfortunately, many of the applications they had in mind weren’t that practical. Luckily, though, we have curious people just like you who want to dig into the techniques and find the applications that actually work. And that makes me happy. Thanks for the response. Hope you don’t mind me explaining my reasoning further. Even the footwork (the half steps represent turning so that your torso and the opponent’s are the same direction) is part of the technique. This isn’t the only example either: there are other sets in the ITF forms that make no sense as taught in the TKD encyclopedia but make perfect sense when you bring Hapkido knowledge into the picture. There is an interview on youtube with my school’s great grandmaster — Suh Chong Kang — where he claims that the ITF forms were more of a collaborative effort rather than constructed purely by Gen. Choi. So It’s possible that although Gen. Choi didn’t know the alternative applications, other TKD pioneers did. ITF TKD is supposedly based on military TKD after all, and it would have made sense for Korean marines to know simple throws, takedowns, and locks. Form applications from various arts (including Karate) have a tradition of being kept secret until students reach a certain level. This is why many Karate “experts” don’t seem to know the form applications. They go on to teach their own students but fail to pass on the form applications, which is why we need people like Iain Abernethy to find them for us! 1) The TKD founders, despite being master martial artists as well as generals who wanted their soldiers to have practical knowledge, believed in wildly impractical applications and were completely ignorant of another nearby art, Hapkido. 2) The TKD founders knew the applications from Karate, Hapkido, etc. but were sticking to the martial arts tradition of keeping the true applications secret until students reached a certain level. In my mind, the second option is more likely. Interesting theory. I definitely don’t mind the further explanation. You’re right that the ITF patterns were a collaborative effort. General Choi didn’t make up all of the patterns. In many cases, he had a rough idea in mind and then assigned one of his senior students to develop the pattern. But they were all working directly under him. If they were aware of practical applications for the techniques, I’m sure they would have passed them on to Choi. On the other hand, not everyone in the TKD world at the time followed General Choi, which is why we have things like the WTF. TKD developed almost entirely from karate (Shotokan in particular). To the best of my knowledge, Hapkido largely developed from jujutsu, with some other arts blended in. Yes, they developed alongside one another, and it’s quite possible that some of the TKD pioneers knew about hapkido. It’s also very possible that some of the TKD pioneers studied it, although I’m not aware of any yet. I wouldn’t want to assume that they knew about the hapkido-style applications, because that would almost be like saying that karateka (who have their own techniques that gave birth to TKD) must know the applications of jujutsu techniques that look similar. It’s quite possible that the karate and JJ applications were originally meant to be the same—after all, there are only so many ways to fight—but I don’t want to assume that everyone was aware of that. I would also argue that while that hapkido video shows possible applications of techniques similar to those at the end Choong-Moo, a wrist lock come-along isn’t a practical application, but that’s debatable. But it’s good to know that hapkido offers some possible applications. The reason that karate applications have been lost isn’t necessarily because masters wanted to keep things a secret. It seems like a big factor was the introduction of karate into the Okinawan education system. Apparently the instructors didn’t bother to teach the children any of the applications and gave them very basic explanations of what the techniques were for. When those people went on to become instructors themselves, they didn’t know all of the details. I also can’t get behind the idea of the TKD pioneers keeping the true applications a secret because they were all about demonstrating that TKD was a superior martial art to everything else. If they taught their students impractical techniques until they reached the upper echelons, they would be doing themselves a disservice. It would be cool if there’s strong evidence that the TKD pioneers had practical applications in mind, but I don’t see the fact that hapkido developed in Korea around the same time as enough evidence in and of itself. Hi I found this article and discussion very interesting. I live in a country where it is so easy to get any kind of martial arts Chinese, Malay, Indonesian, Korean, Japanese and even Indian ( I live in Malaysia) . I did ITF Taekwondo and Chen style Taiji, first of I would like to reply on the answer that the patterns are NOT exaggerated movements, this is not true for some of is.. are you going to stretch your legs wide in forward stance when you fight? No of course not, so what is the purpose for? It conditions your body and legs the patterns are not just for self-defence, it is to condition and harden the body and you have various stances to strengthen the thigh, other parts of legs and hands..even your stomach and in the process build endurance, if you look at the past two or three decades there has always been a debate on which martial arts is the best. Gracie Jujitsu because of their popularity in defeating and welcoming open fights was deemed the best, each martial art had its time due to its popularity at one time or another. ITF Taekwondo by General Choi Hong HI was developed for the Korean Army. Unlike other arts this art was developed for practical combat fighting. Just like Karate in the time of the Samurai and all, but in this case this was against bayonets, rifles, heavy boots and all, the good general needed to codify the arts and in ITF Taekwon-do and he duly did incorporating some Karate inside, but in no way is ITF Taekwon-do karate. I emphasize the word ITF Taekwon-do, not just because it is …. 4) General Choi also emphasized the role of bio-mechanics where kicking with right leg would mean e.g right leg kick left hand move towards body and vice versa a first in martial arts with Sport Science fundamentals being introduced…. The genius was in sine wave, if you look at systems like Yoga and Taiji you achieve incredible feats of strength and health through proper breathing. The closest Japanese martial art to do this was the Goju system, but General Choi incorporated the sine wave and breathing all the way into the pattern and this was the master stroke, I have seen a Taekwon-do 2nd dan exponent take two accidental full blooded side kicks to his rib (No body pad) in a demo and not flinch. This was the genius in ITF Taekwon-do and the patterns are sophisticated and gets harder by climbing higher and if you look at the patterns in ITF Tae-kwon-do you will find some going fast..slow and fast while keeping the breathing intact. Let us not forget that General Choi was a Taekyon instructor for the military troops of the R.O.K. and the American Military Police School based in Korea, so the influence was not just from Japanese Karate and it could be more influence from other Korean and Chinese martial arts as they were close to China too geographically. I also beg to differ about exaggerated movements being compared to other sports, that is the whole point it is different. Having said that, have you seen athletes running through agility ladders in exaggerated motions or even without agility ladders? Yes.. A Boxer bangs rapidly on that ..I am sorry I am not sure what it is, but that bell shaped equipment which looks kool, but can a boxer do that to an opponent constantly?? No of course not, but there is a reason for it all the exaggerated movements. If you do Taiji you will know that it is a martial art an internal one which takes many years to develop and the forms are exaggerated and yet Taiji is effective trust me I know, but this art is different it is not for people without patience and it is more spiritual than external martial arts, you only develop power after years of practice, but the forms have powerful self-defense meaning. I have used Taekwon-Do in two self defence situations in both times I came out on tops, the first guy was bigger than me and tried to scare me and came close to attack, I have no idea how I avoided and at the same time gave him a full blooded kick to his outer thigh and he fell like a ton of bricks, got up and ran off, as I was still in Taekwon-do pose. The other time I beat this guy up so bad when he tried to attack me and enter my house he had blood coming out his nose, there was one moment I instinctively did a pattern and was about to give a front kick to his stomach I stopped in my tracks because I could have killed him. I called my brother and drove him to the police station. By the way he gave me kicks too, but my body was conditioned to take the hits because of sine wave and the breathing that hardened my body I was able to recover fast…and I was only a blue belt at that time!!! THE BREATHING ALSO HELPED ME COPE WITH THE TRAUMA OF THE ATTACK AND CONTROL MY BREATHING..HEART …AND MY MIND BECAUSE OF THE TAEKWON-DO PATTERN training by no means am I saying that other martial arts are not effective, but it definitely helped …and did I breath out loud doing pattern when I defended myself with these guys? Of course not. My Master 8 dan holder of Taekwon-do used to demonstrate to us and no matter how people attacked him nobody could touch him, he did not even use blocks he just moved away swiftly before the attack could reach and I remember once he just moved and avoided like it was Aikido, but as if to just demonstrate what he could do he went full swing in a kick and stopped an inch away from the back of the neck of the exponent after he avoided his attack…that is mastery. I like what I learned from all of you all here and I mean that, but please look deeper and do not find fault in an art because you do not understand it. Because if you look deeper you will find multiple applications of a movement as the author said about missing something, the functionality of the movement does not have to come from the founder only it can come from you as you discover it…that is why it is called art and the art is proven, finally I like to add that in Taekwon-Do you have high kicks..is that practical? Think about it if you could demonstrate a high kick with power and at the same time stay stable in the ground imagine what you could do with a low kick as I did in my self defence situation and imagine how fast I could move because of my flexibility? ITF Taekwon-do meets this, I think most external martial arts have this, having said that I think WTF Taekwon-do and South Korea and the South Korean Army have taken it to another level and it only further vindicates ITF Taekwon-Do as the pioneers in WTF were students of General Choi, I hope this vindicates Taekwon-Do being practical and the patterns functional, thank you. Ah Kevin looks like you are becoming the militaristic Korean instructor you never wanted to be 🙂 🙂 but all good Kevin I like this site despite you not publishing my lengthy comment. Sorry, Disqus automatically flagged it as spam. It should be up now. And thanks for the comments! Having been a Tae Kwon Do (Moon-Moo Kwan) practitioner for about 40 years now, I can tell you that nearly every block in this art is also a strike. You are correct that the low block is also a hammer strike to the groin. Regarding the patterns not looking like they are practical in combat (self defense), they are made to lay a foundation upon which adaptations can be made for various situations. They are learning tools to teach us how to harmonize the many techniques learned. Good posts you have on here. I’m glad I found this site.